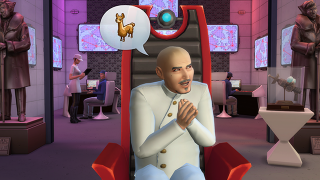 Hi Simmers! As you guys know, we like to provide a variety of cheats for you in the game. Some of you play by your own rules and we like to encourage that. In addition to the cheats already published and shared with you, it turns out a few of our development cheats made it into the game as well! For some back story, these cheats were created to do daily "Smoke Tests." We had to put in these cheats so the game could run on its own without human intervention. Essentially, we run these smoke tests in the wee hours of the morning while we aren't at work using our computers. Quick Disclaimer: Cheats are cheats. Using these cheats takes you beyond the standard tuning and flow of gameplay so you may encounter hiccups or oddities. So please use cheats with caution! *NOTE: you don’t need to put in the < > symbols in your cheat code. There are there to show you where to type in the specifics you want. Career Cheats – We have quite a few cheats for careers. For <name>, type the name of the career. *NOTE: <amount> is where you type the amount of money you want. *NOTE: Replace <#> with the number of Sims you want. BE WARNED: If you put in a crazy number, the game will break. *NOTE: This doesn’t remove Plumbobs. Have fun with these cheats and happy Simming!